For some reason, I am really "in" to July 4th this year. A couple of days ago, I went to Pinterest to print out July 4th water bottle wrappers. I then ran to Target and JoAnn Fabrics for a few other items (straws, plates, napkins, banners, etc). I put all the fun supplies on my dining room table to give the main living area a festive vibe. Speaking of Pinterest, I found this great recipe for Strawberry Shortcake (simple and quick!). It made for a nice brunch and we even had leftovers. The kids loved the shortcake, as it is sweeter than many recipes. The kids wanted to "make" something as well, so I let them dip pretzel rods in white chocolate and decorate with candy and sprinkles. It's no secret that my family loves cupcakes! We baked our cupcakes inside ice cream cones for an extra touch of summer! 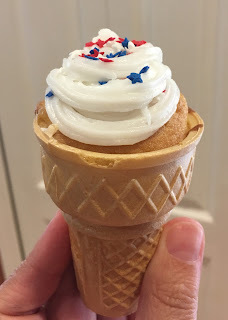 Here is another treat that kids love. 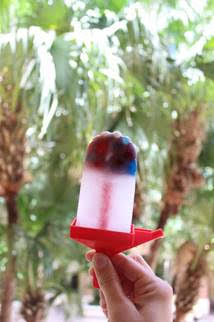 Using Gimbal’s Fine Candies’ Gourmet Jelly Beans, Sprite and a popsicle mold, you can make some sweet popsicles that are festive and fun! 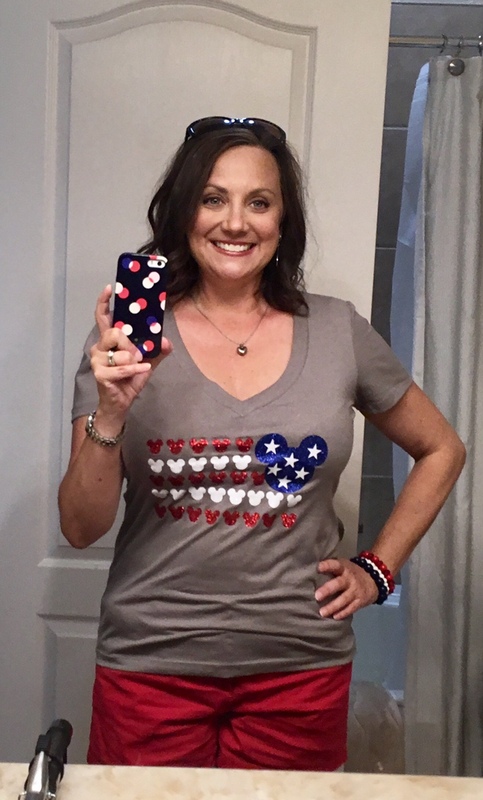 Mickey Shirt from Etsy/The Magical Feather. Bracelets from Charming Charlie. Phone case by Kate Spade NY. 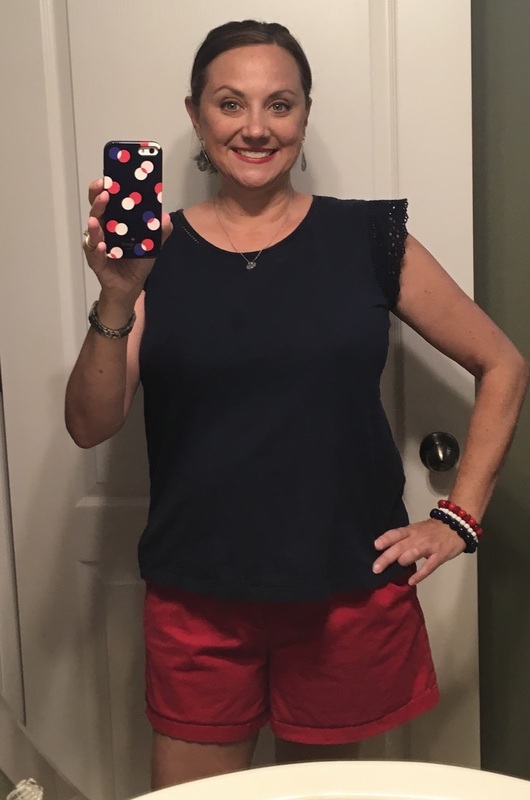 This last outfit is a little bit more basic, but still very festive for an outside barbecue at the lake. Navy tee with ruffle shoulders from TJMaxx and yet again (ha!) my Red shorts. 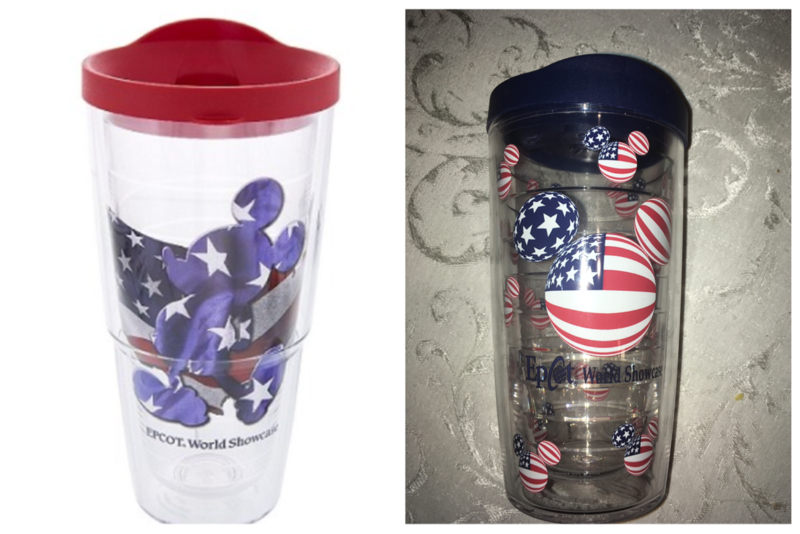 One last thing I must mention, my family loves Tervis tumblers. I was pleased to find two USA/Disney themed tervis cups at Epcot this past week. The perfect accessory, in my opinion! So, how are you celebrating this July 4th weekend! ?